Let's 4 head light bulb replacement work was done smoothly. It seems that the brightness of the headlight has improved a bit. This review is about item#35504183. Anyway, it cheaply gotten in. I will purchase it again. It is quality equivalent to genuine parts. I was satisfied with the customer. It is regrettable that it is darker than I expected. The normal bulb is brighter. This review is about item#35504201. The brightness is reasonable. Is it a bit expensive for money? In idling it is a little yellow like tungsten, but turning up will turn white light. There is no particular problem in mounting, the brightness is brighter than normal. I am worried about how long life will last. This review is about item#35504192. It is sufficiently bright, and it can be used without problems, especially at present. It is brighter than the genuine valve and the price is reasonable. Yamaha Jog headlights owned as a second year bike for a long time were getting pretty dark, so we will consider halogen light this time. 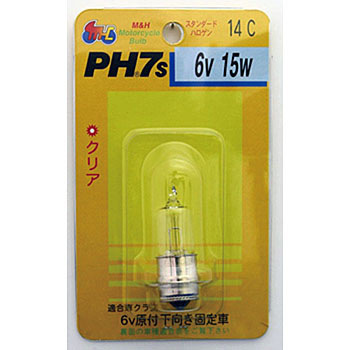 When I changed from 12V25 / 25 to 12V30 / 30, I am satisfied very brightly. Because cheap incandescent bulb type valves will expire in less than a year, we replaced them with halogen bulbs. Halogen balls are recommended because they can not cut easily.